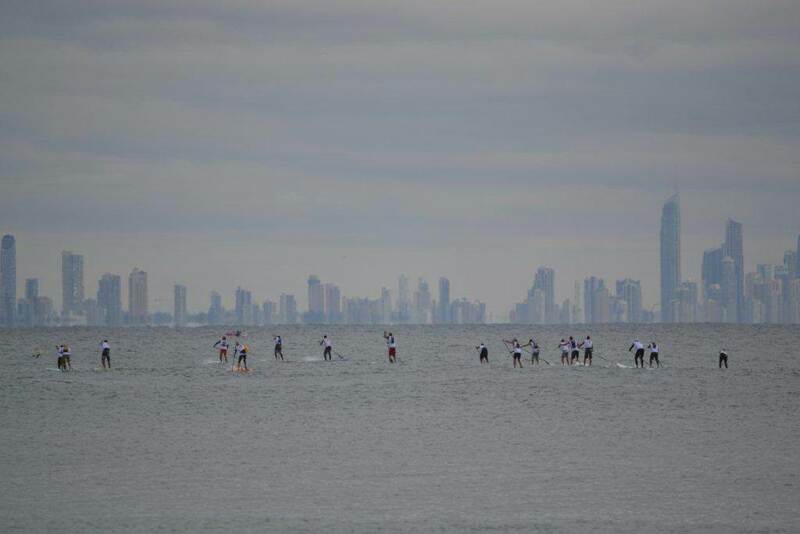 Check out the results of the 2012 Queensland State SUP Titles that were held on the Gold Coast this past weekend. This race was a qualifier for the Australian National SUP Titles to be held in August (which will decide who represents Team Australia @ the 2013 ISA World SUP Champs). Queensland (and the Gold Coast in particular) boasts a massive concentration of stand up paddle racing talent. Almost every race director in the world would have been stoked to see such an elite field line up at the start, and that’s without both Travis Grant (injured) and Jamie Mitchell (working the Volcom Pro Fiji) competing. 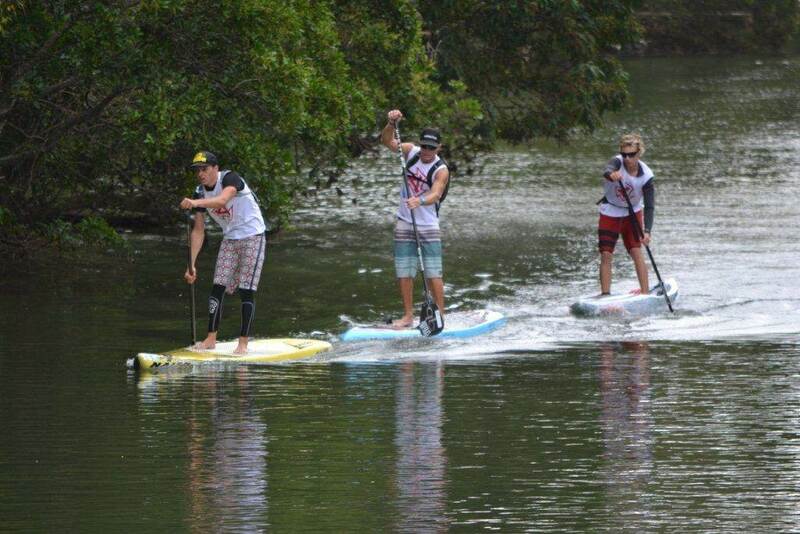 There were two events on the weekend; the Long Distance Race and the Battle of the Paddle-style Technical Sprint Race. The Long Distance race was a bit different in that the first half was an open ocean downwinder (Snapper Rocks to Currumbin Alley), while the second half was all flat water (up and down Currumbin Creek). 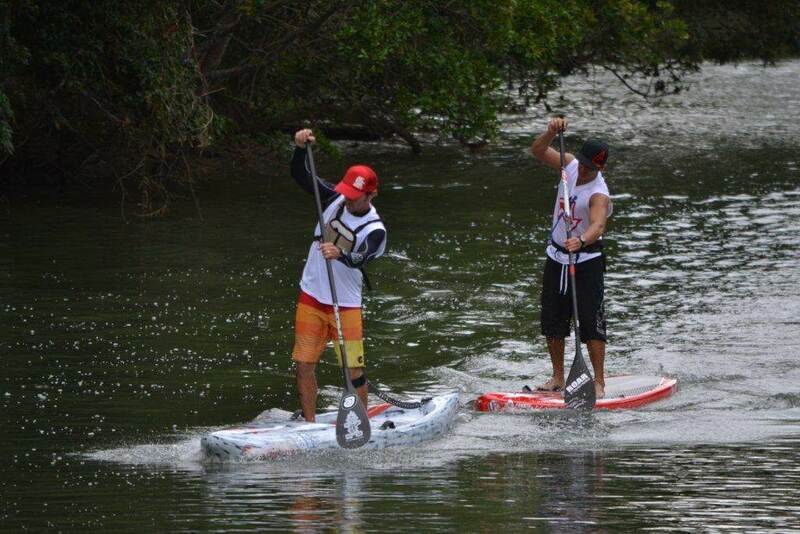 The qualifying division for the National Titles was a 17km course on 14′ boards, while at the same time there was an 8km course for the stock 12’6″ and unlimited paddlers. Although the main goal was just to qualify for the National Titles, this was still a race and with this many good paddlers it was always going to be fast. So it was amazing to see Starboard team rider Beau O’Brian score an absolute runaway victory. 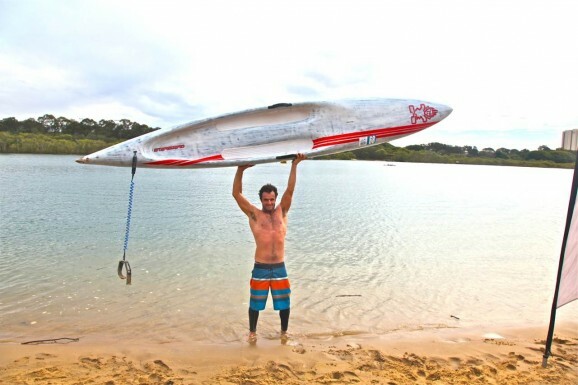 Despite a stacked field of evenly matched paddlers, O’Brian put an incredible four minutes between himself and 2nd place Jake Jensen (Naish). The local gun then backed it up by taking out the Technical Course/Surf Race the next day. Meanwhile in the women’s race it was another Starboard that crossed the line first, with Alison Fullagar winning ahead of Fanatic’s Angie Jackson. Though Angie did get some revenge by winning the Technical Course/Surf Race. Check out the full race results below (the bold names qualified for the National Titles). Special mention goes to Fanatic’s Paul Jackson and Dylan Magee, who both qualified in the Long Distance event despite riding 12’6″ boards.